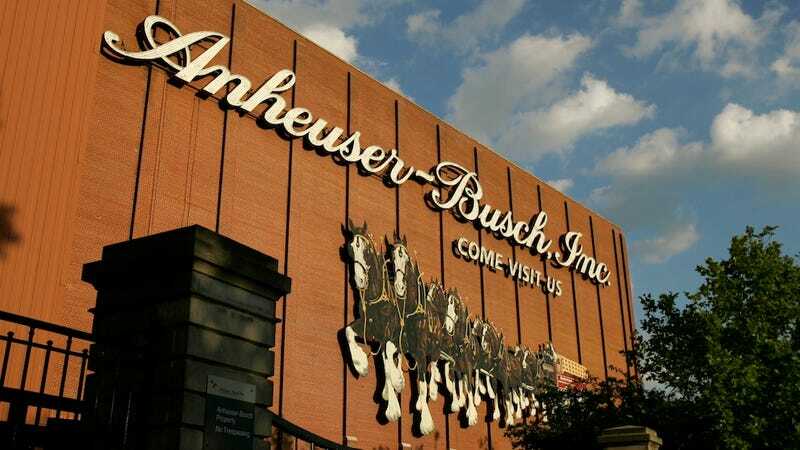 Major NFL sponsor Anheuser-Busch has issued a serious reprimand and warning to the NFL in response to the league's latest fuckery. This is even better if you imagine the puppy from this year's Super Bowl ad bark-dictating the announcement. Trust me. "We are disappointed and increasingly concerned by the recent incidents that have overshadowed this NFL season. We are not yet satisfied with the league's handling of behaviors that so clearly go against our own company culture and moral code. We have shared our concerns and expectations with the league." According to USAToday, A-B has three years left on a 6-year, $1.2 billion deal with the NFL. If they pulled their sponsorship, it could be quite the fiscally disastrous ball-flick for Goodell and company. "We've communicated to the UFC our displeasure with certain remarks made by some of its fighters, and they have promised to address this. If the incidents continue, we will act," the brewer said in a statement. A-B, which did not elaborate on potential actions, also stated that it "embraces diversity and does not condone insensitive and derogatory comments rooted in ethnicity, race, religion, sexual orientation, gender identity, disability, etc." For those of you keeping score: a beer company has been braver (or savvier) about taking a stand for women than Cover Girl. How could all those Rah Rah Girl Power ads have led me astray?!? !